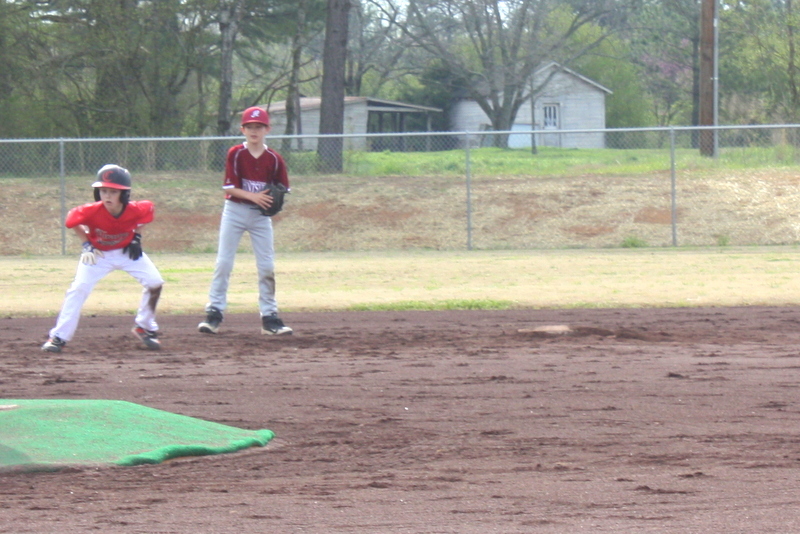 Jackson is playing travel baseball this season. It is a whole new world to say the least. Not only is he playing travel ball but he moved up to kid pitch ball this year and that is a whole new world as well. There are a lot of new rules in this league that has taken all of us a while to get used too. 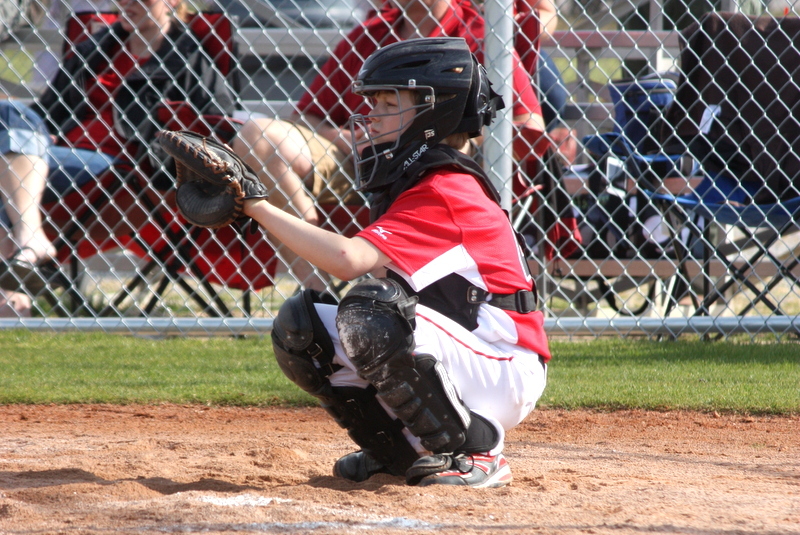 Jackson is also the starting catcher. Talk about stressful!!!! 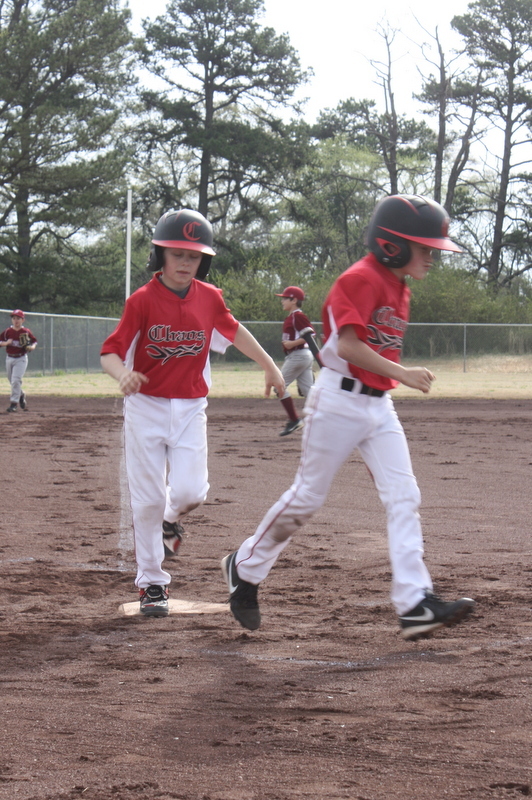 I would love to tell you that going to watch him play baseball is fun and enjoyable and something I love and look forward to but that is not always the case. I am a nervous wreck! Which is why I have 4 pictures and we have played at least 12 games if not more. I can't even seem to get my camera out and take pictures for holding my breath and hoping he doesn't miss a wild pitch because that means the runners are stealing bases. When there is a running on 3rd base I can't even watch because if he misses the ball the runner will steal and score. I try and count pitches too because if he drops the 3rd strike then the batter can run to first even if he struck out and he has to throw him out. There is so much to keep up with! Talk about pressure!!!!! We have told Jackson over and over to just do his best. You know the old saying... there is one letter difference between hero and zero... I feel like that every pitch... he is one caught ball or one throw away from being the hero or being zero. Needless to say, we are building LOTS of character!!!! I have left many of ball games in tears for him. The coaches, the parents, the crowd puts so much pressure on him that I almost can't take it; thankfully most of the time he is stronger than I am! He has only come to us twice with complaints. One time he came to us and said I don't want to come back and play the next game; I can't do anything right! Needless to say, that called for a little meeting with coach and obviously that was not how they wanted him to feel and things got better! The other time he was the only player on the team that did not get a hit one game and everyone was getting a hit sticker for their helmet but him. He knew it and was trying to be strong and be happy for his other teammates but when one of them announced to the whole team Jackson is the only one not getting a sticker; he could not be strong anymore. It broke my heart! Thankfully once it was all over with he knew it was "just a dumb sticker" but that was a tough situation! I am almost to the point that I want to go sit in the other teams stands to watch the game. I am biting my tongue and thankfully God is putting duck tape over my mouth and holding it tightly because there is one family/mom I have giving LOTS of grace too. 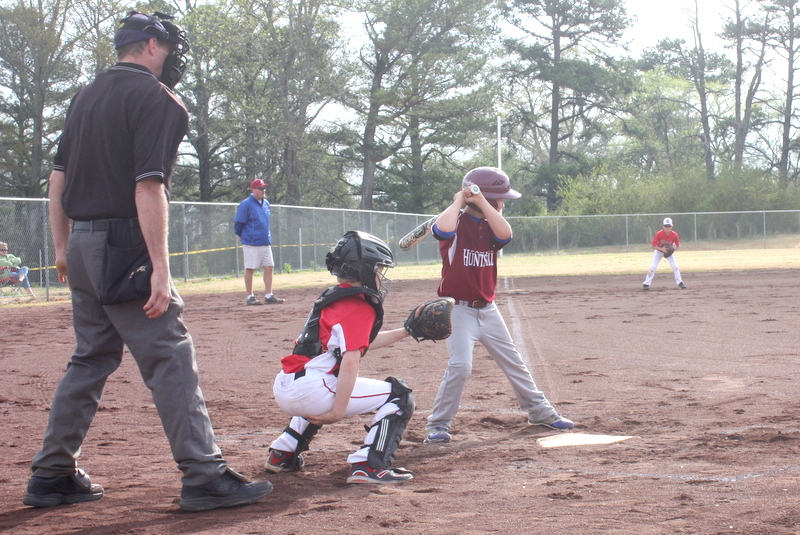 I wish her child all the best when he goes to play for the Braves next season... oh right he is only 9 years old... so that want be happening... but not in her eyes! I usually try to keep things light and fun around here on the blog but that is not always life. These are the memories we have right now; this is what we are experiencing in baseball. I know in my heart of hearts that this is not what JP's baseball "career" is always going to be like. We are learning and getting better each game. 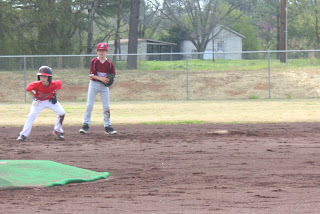 JP got a nice "at - a -boy" compliment from a coach from another team last weekend; I am thankful for the encouragement!